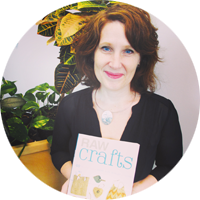 Not only am I writing DIYs plus sharing thrifting tips and tricks for the Salvation Army Thrift Store blog - I am now writing for the Salvation Army's publication Faith and Friends. 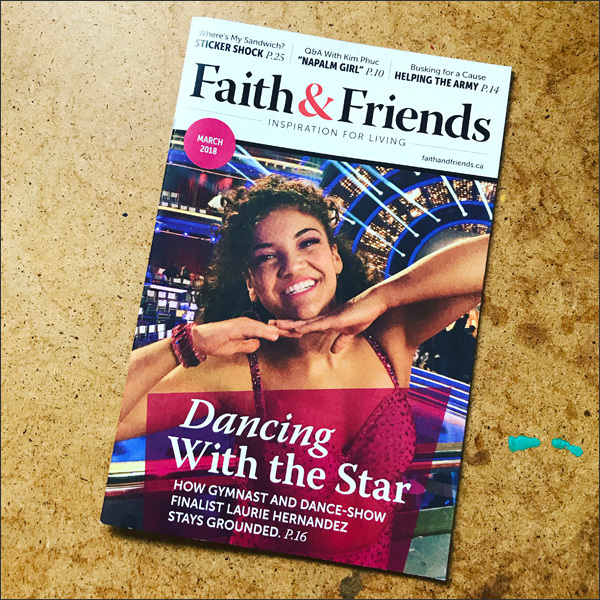 Faith and Friends is a monthly outreach magazine focused on 'inspiration for living'. You can find copies of it in your local Salvation Army Thrift Store. 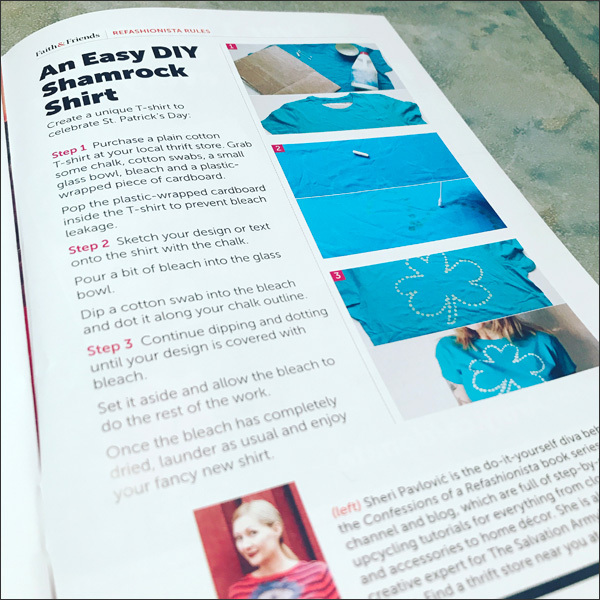 The Faith and Friends publication features a DIY in each issue like this one - an easy DIY shamrock shirt. TBD will be contributing DIYs once every couple of months. I've already submitted my first feature! 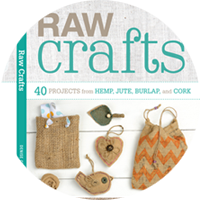 Stay tuned - I'll let you know once it's out. Thanks to Salvation Army for both of these awesome opportunities! It's been so great working with you!